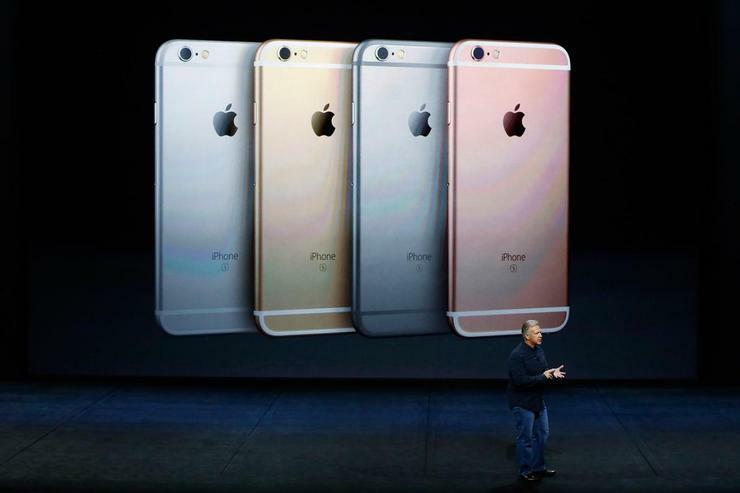 ​Inside the iPhone 6S… How much does it cost Apple to make? Upgraded components in the new iPhone 6S Plus cost $US16 more than the components in the earlier iPhone 6 Plus. New estimates from IHS Research claims the bill of materials (BOM) for an iPhone 6S Plus equipped with 16 gigabytes (GB) of NAND flash memory costs $US231.50. After basic manufacturing costs are added however, Apple’s total cost to manufacture the iPhone 6S Plus rises to $US236. Meanwhile, the unsubsidised price for a 16GB iPhone 6S (with a 4.7-inch diagonal screen) is $US649, while the unsubsidised price for the 16GB iPhone 6S Plus (with 5.5-inch diagonal display) is $US749. “3D Touch and Apple’s Taptic engine are among the more notable feature upgrades found in this latest round of iPhones,” says Andrew Rassweiler, Senior director of cost benchmarking services, IHS Technology. Possibly due in part to Apple’s new iPhone financing program, Rassweiler says the new iPhone 6S and 6S Plus are designed to be stronger and more resilient, which means it can last longer and better maintain its resale value. Several upgrades combine to effect this improvement, including a harder 7000-series aluminium case, an upgrade to the latest and strongest Gorilla Glass 4 cover glass, as well as additional gaskets and seals that improve water resistance. Apple has upgraded the core processor, from their A8 series to the more powerful A9 series Apple touts as having a 70 percent faster CPU performance - the processor also integrates M9 motion co-processor functionality. The previous generation iPhone 6 and 6 Plus featured an A8 processor, as well as an M8 motion co-processor that was a separate integrated circuit supplied by NXP Semiconductor. In this new generation, the M9 exists within the A9 processor, and the stand-alone integrated circuit is no longer needed to perform this function. Apple's proprietary Taptic Engine, a system also found in the Apple Watch, is a haptic user interface technology that uses vibratory solenoid to reproduce physical a vibration or tapping sensation when the device is touched. “The 3D touch system is novel, and when combined with Apple’s Taptic Engine, these features add about $US10 to the total bill of materials cost,” Rassweiler adds. The iPhone wireless modem has evolved from a CAT 4 (Qualcomm MDM9625) to a CAT 6 (Qualcomm MDM9635) modem that provides better data throughput. Furthermore, like preceding iPhone designs, the iPhone 6S and 6S Plus feature support for a number of total long-term evolution (LTE) bands in a single device, allowing Apple roll out its products globally, without other physical variations to the wireless section of its devices. “Apple distinguishes itself by supporting all wireless bands in a single hardware version of the iPhone, which really helps Apple avoid having to manage so many different variations of the iPhone 6S line,” Rassweiler adds. For the first time in an iPhone, Apple is using WiFi/WLAN with 2x2 MIMO, which has been implemented previously in other smartphones, including the Samsung Galaxy S5. Multiple input and multiple output (MIMO) antenna design helps improve WiFi reception and performance speed. Apple has upgraded its main camera from 8 megapixels (MPs) in its earlier iPhone 6 to 12 MPs in the new iPhone 6S and iPhone 6S Plus - the front-facing camera has also been upgraded from 1.2 MP to 5 MP. “These are major upgrades for the iPhone, which has often lagged behind other leading edge flagship phones, where camera resolution is concerned,” Rassweiler adds. The battery in the iPhone 6S Plus is slightly smaller than the battery in the earlier iPhone 6 Plus; however, Apple has added new power-saving software features, as well as improved power-management components and silicon process shrinks (e.g., a processor built using the 14nm or 16nm or process nodes typically uses less energy and current than a processor built in 20nm node). As NAND flash memory continues to make up an ever-smaller percentage of overall BOM costs, its monetisation continues to increase Apple’s profits - a 16 GB flash memory now costs Apple less than $US6 per unit. “NAND Flash is now so cheap it’s almost irrelevant, but Apple monetises this difference with consumers, to the tune of $100 for each additional step up in memory capacity,” Rassweiler adds. “For example, a 64 GB iPhone now costs Apple about $US17 more to make than a 16 GB iPhone, but Apple charges iPhone buyers $100 more for the increased memory.